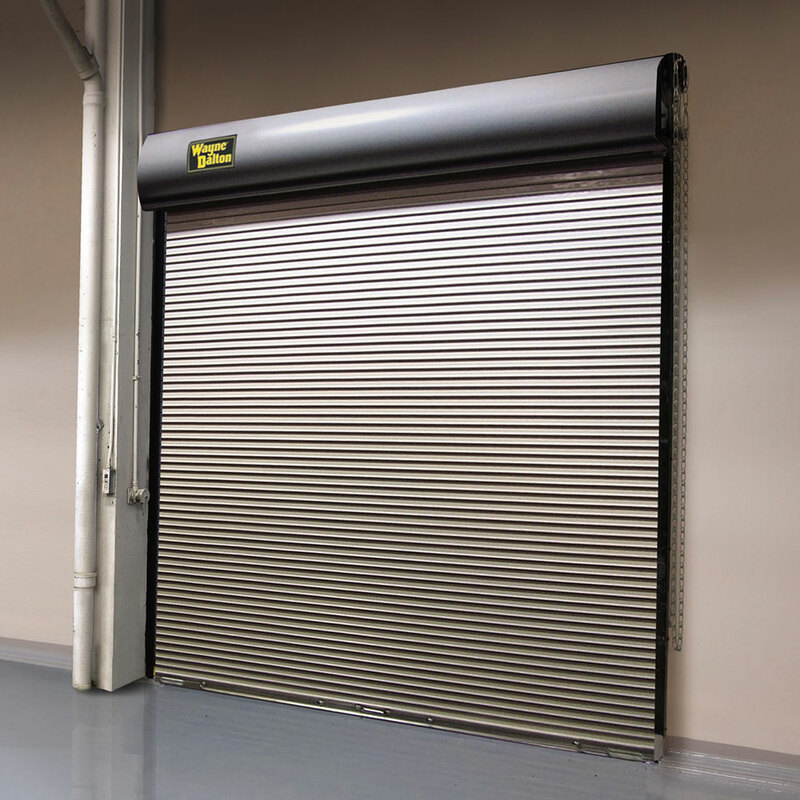 Wayne Dalton’s Model 926 rolling service door is an economical, secure solution to protect facility openings. These doors are composed of flat-faced slats that provide a natural watershed, helping to reduce corrosion. Slats are designed with free-acting interlocking joints that permit easy articulation when the door coils. Model 926 features a strong double-angle bottom bar that reinforces the lower edge of the curtain against wind pressure and permits varied lock, astragal and safety edge options. It is designed for easy installation and does not require fasteners in the guide openings, so the bottom bar does not interfere with door operation. Zinc-plated, cast iron wind locks add strength and prevent lateral slat movement. See our Model 926 Slat Profile document for more profiles and details.